-OPAC, Cataloging, Circulation, Database authentication, eBook management, Asset & Textbook management... OPALS Open-source Automated Library System is feature-rich, cooperatively developed, Web-based, open source, providing access to information databases, library & digital collections.... Over 2700 school, academic, church, public, business and cooperative regional union catalog collections use OPALS. OPALS open is supported by highly-acclaimed full-time programmers & technicians. Pros: This software is easy to use and keeps current with industry trends. This ILS system has proven extremely valuable in providing our area schools with a state-of-the-art catalog which integrates books and other information resources. The ILL features were improved a couple of years ago to show availability and great ease of requests! Our librarians were thrilled with the simplicity. 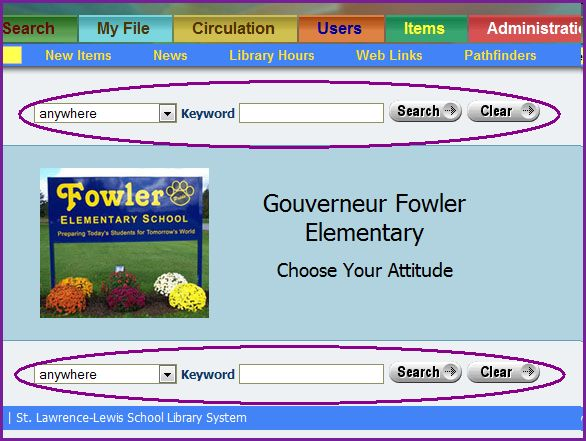 Librarians have the ability to customize their library page to support research and school activities. Easy marc record addition, copy cataloging available for those who are short on time. Wonderful work by a company committed to Open Source community improvement! Cons: For remote hosting, consider your connectivity bandwidth capacity. Consult with your internet provider to insure adequate bandwidth is available...based upon the number of users, computers, libraries, etc. Consolidation of duplicate marc records in a union catalog is one area which needs attention. This is only an issue with an extremely popular title where there are many different marc records -- and, that is really a cataloging issue, rather than a software issue. Pros: OPALS is an inexpensive, customizable library automation solution for our schools providing many features that other vendors offer at considerable cost. We have been working with this vendor in this region for four years with very good results. Our librarians are happy with the product and Harry Chan and his team at MediaFlex provide responsive and highly competent support. Cons: We have been promised a subscription database program for the past couple of years that would allow us to put our vendors into the OPALS system and make the work of maintaining that information much easier. We have had to wait for that development which is frustrating. It is only until all users seem to have a need for something that the features wanted are added. Overall: My overall recommendation is that OPALS is a great alternative to what is presently on the market. It does what it is expected to for a good price. It weaves in a lot of functionality that is important for consortia like a union catalog as well as a host of options for ILL and importing records. Harry is very easy to work with and works very hard to respond to our needs and concerns. OPALS is a Jewel (Library Automation System)! Pros: Great customer support. The price is unbeatable. You get so much for the price. Easy to use. Patrons and staff are able to use with ease. Always updating so it keeps up with latest trends. Cons: Can't think of any negatives. Overall: Give it my highest recommendation. All libraries should check out this system. The small size of the company might be an issue for huge districts but they should stil inquire about their services. Pros: This is a great system. We implemented the conversion to OPALS over the late summer and were up and running by the middle of August without any issues. The support has been excellent! Overall: The OPALS library system is a wonderful product that serves our needs quite well. Highly recommended system in terms of ease of use and support. Pros: Helpful union catalog; Z39.50; book covers included; ease of use both for professionals and clients. Cons: No authority lists at this time for LC subject headings, authors, or titles. No local authority lists. Overall: Strong recommendation: low price, excellent support, ever growing features.